← Wildlife of the Falkland Islands. Gentle Reminder & Dinner Invite! 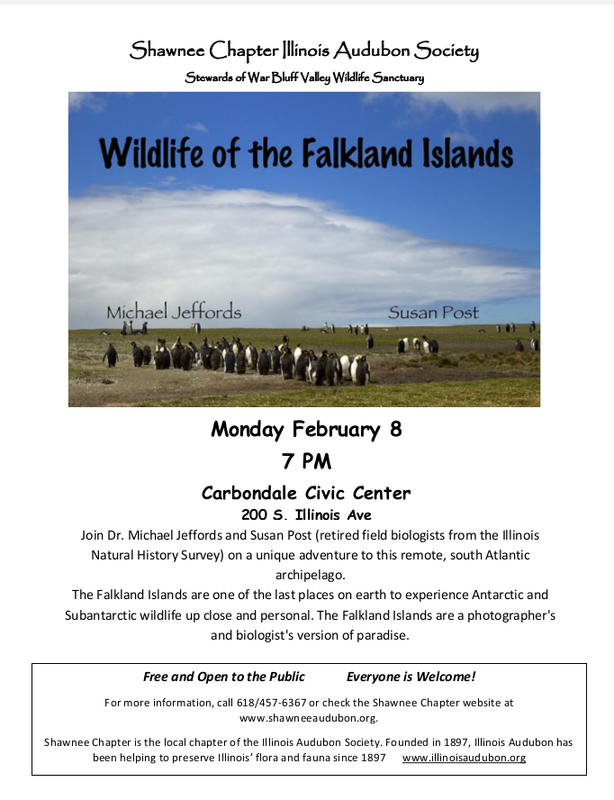 Join Shawnee Chapter, Illinois Audubon Society on Monday Feb 8 @ 7 PM – for Wildlife of the Falkland Islands with Mike Jeffords & Susan Post. It’s about a 4-5 minute walk to the Civic Center. I figure that if folks want, they can park at the Civic Center, then walk to the pizza place & back for the program. This would be a great program for kids interested in nature, and penguins especially – please share with anyone and everyone. Feel free to contact me with any questions. 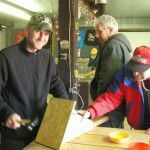 This entry was posted in Uncategorized and tagged carbondale, illinois audubon society, presentation, shawnee chapter. Bookmark the permalink.